Celebrate your sweetheart this Valentine’s Day! Whether you’ll be spending February 14th together or apart, you can still surprise your loved one with something they will really appreciate. 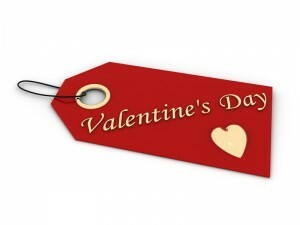 For some great Valentine’s Day gift ideas, check out this list of retailers and services that offer military discounts and military-themed gifts. And if you’re putting together a care package to send your deployed soldier, look at the Omni Pinterest board for some more inspiration. Cheryl’s offers beautiful and delicious heart-shaped cookies, chocolate covered strawberries, brownies, and other sweet treats. It also offers free shipping to APO/FPO addresses. Create your own cookie care package and have it shipped free to any U.S. military APO, FPO, or DPO address. You can choose cookies with hearts and custom messages, patriotic and military designs, and in all kinds of flavors. Butter Maid Bakery even gives you the option to send cookies to an unknown soldier as a way to show support for America’s troops. Sign up for special offers and get $5 off your order of $29 or more. Military Florist offers a range of Valentine’s Day flowers, balloons, and teddy bears that can be delivered to any stateside American military base. Save $5 off your order – no code needed. Send your valentine a beautiful bouquet and use the special code to receive 15% off the product price. 1-800-Flowers.com has flowers arrangements for all occasions, plants, gift baskets, candy, fruit, keepsake gifts, and more. Use the promo code to save 25%. Available to all members of the Armed Forces, veterans and their families. Antique Jewelry Mall has a large selection of unique antique and estate jewelry and antique reproduction jewelry pieces. Its collection includes engagement rings, necklaces, earrings, charms, pins, and more. Active and reserve U.S. military members can receive a 5% discount on purchases of in-stock items. Orders must be placed over the phone or via email. See site for details. Helzberg Diamonds is grateful to the military and in appreciation, offers a 10% discount to active military. Orders must be placed over the phone and active status must be verified. Zales has a collection of military-themed jewelry. From handsome men’s rings to beautiful charm bracelets for women, this jewelry is specially made for service members and their families. Participating Cinemark theatres throughout the country offer a special military discounts when you show a valid active Military ID at the box office. Some restrictions may apply. Discount days and times may vary. Contact the theatre box office for more information. Show your active service ID at the box office to receive a military discount. See website for details. PersonalizationMall.com has a variety of custom gifts available for all military branches. Shop for engraved pocket tokens, his and her dog tag sets, picture frames, greeting cards, and more. Give your sweetheart a Valentine’s Day portrait. Target Portrait Studio supports America’s troops by offering service members free sitting fees, a free 8×10, and 50% off your portrait purchase. Must show Military ID. JCPenney thanks military members for their service by offering a free 8×10 portrait, free sitting fees, plus 50% off portrait collections. Must present your Military ID. Create a military-themed blanket or a personalized photo book, collage poster, calendar, or pillowcase.